The primary goal in blast freezing is fast freeze times. Fast freeze times are important for a number of reasons – the most obvious being production efficiency – getting the most production out of the least amount of production space is important in every industry. However, the most compelling motivation is the economics of quality. High quality food products can be pushed into high price markets, but low quality products are left to the low price markets – plain and simple. Blast freezing is an effort on the part of frozen food producers to preserve as much of the quality as was present in the raw product as possible in order to position their products before the type of customers that are willing to pay the most for the very best quality. Q – My first question is why is freezing speed so important to quality? Whether fast frozen or slow frozen, it seems to me that a frozen fish is a frozen fish! Q – That is fascinating! Now in your initial statement, you describe blast freezing as a “cold air at a high velocity”. Is there a balance point between air velocity and temperature? For example, can I set up some fans in a part of my cold storage to make a blast freezer? A – I can see that you are on track – however making a blast freezer out of a cold storage will not work very well on two counts; first the cold storage was not engineered with the capacity to freeze much product, so your refrigeration equipment will become overloaded, and the cold storage temperature will rise. Second, cold storage temperatures are usually not what we consider to be blast freezing temperatures. Most cold storages are held at -10F or so, and a properly designed blast freezer will start at 30F or below. Q – OK, but I am still interested in the “low temperature vs. big fan” issue. I keep thinking about my chest freezer at home. We put stuff in it to freeze and it seems to do just fine, without any fans. I understand the need to freeze quickly, but how about a room with – say -30F and no fans. You could save energy that way. Wouldn’t that work? Now let’s break up this “bottom to top” temperature gradient created by natural convection, with some fans that move air horizontally across the fish racks. This will replace the “bottom to top” temperature gradient with a “back to front” temperature gradient, and we can decrease the magnitude of the temperature gradient by increasing the fan power! Now think about how the fish gives up its heat – by handing it off to the air. So any way you look at it, the temperature of the air one micrometer away from the surface of the fish will always be warmer than the air two micrometers away, and so forth. So the colder the temperature difference between the fish and the air right at the surface of the fish, the faster the freeze time will be. Now with this logic in place, you tell me what air speed has to do with freeze times! Q – Wow! Now I understand why fans are so important. But isn’t there an optimal air speed? You cannot keep increasing the fan horsepower to improve your freezing times can you? Another disadvantage to excessive air speed is the drying effect that high airflow has on the product. This product dehydration occurs in both unfrozen and frozen states, but is most pronounced in the unfrozen state. Product dehydration directly affects the quality of the food since a product surface that is less hydrated than the flesh below it, will pull moisture from the underlying flesh, leaving the cells of all the flesh less hydrated – less pressurized. The result is less firm product, wilty, limp, and unappetizing. The effects of product dehydration caused by high air speed can be balanced by bringing the surface of the product down to the frozen state as quickly as possible; and the only way of doing that is by having enough refrigeration power to achieve low temperatures very quickly, and to keep the temperatures dropping to -30F or below as fast as possible. This aggressive approach will establish a frozen skin on the product quickly, and further minimize the amount of time that the product spends in the freezer. So now you see a balance between air speed and air temperature. You need high velocity air across the entire freezer to break up the heat gradient at the surface of the product; the standard being around 1200 fpm (feet per minute). You need low temperatures at the beginning of the freeze to establish a frozen skin on the product to minimize dehydration, and you need plunging temperatures throughout the freeze to minimize the time that the product is subject to the air blast, the standard target being -30F or below. I understand. So now, I am convinced that I need a blast freezer that can achieve air speeds up to 1200 fpm, and air temps at -30F and below. I need enough refrigeration horsepower to bring the box temp down quickly in order to establish a frozen surface skin on the product to decrease dehydration. So let’s say I have progressed well into the freeze cycle. How do I know when to consider the freeze finished? Q – I think I have a handle on the basics now. But how do I translate this into some basic understanding of the equipment, so that when I look at a blast freezer, I’ll know how to make some kind of basic assessment? Q – Absolutely! Where do we start again? The “evaporator” – what is it, what does it do, and how do I know whether it will be effective in blast freezing duty? Q – Airflow design – that doesn’t sound like a piece of equipment, what do you mean by “air flow design”? Q – “Enclosure integrity” – I take it that this refers to the blast freezer room? Q – Fabulous! This has been quite an interesting journey! 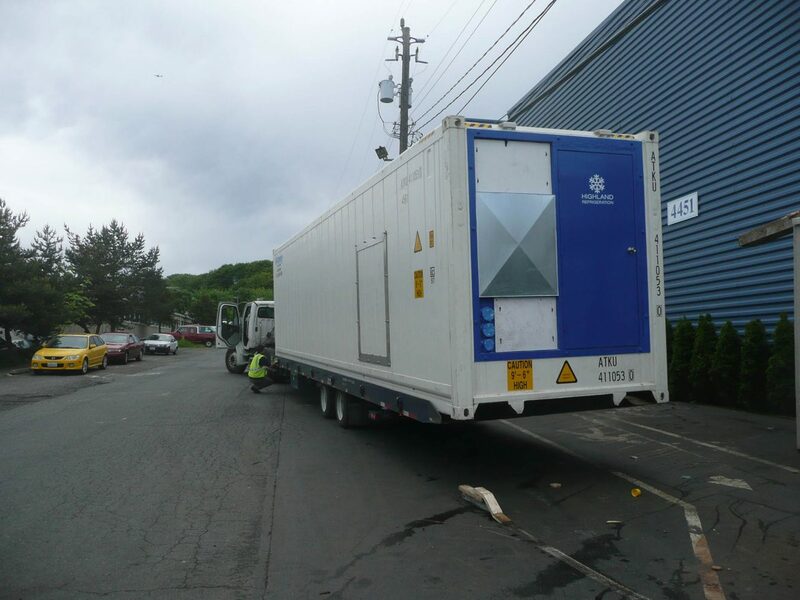 You have laid out a case for what seems like huge evaporators, high-powered compressors, very low temperatures, doors that seal tight, and a box interior that is perfectly matched to the way the product is staged. I’ve seen that kind of equipment in the best production plants and processing vessels, but I see plenty of producers with equipment that is less than perfect; and they seem to keep chugging along forever. I can see a new operator getting started under these conditions, but what at what point should an owner consider a more premium operation?